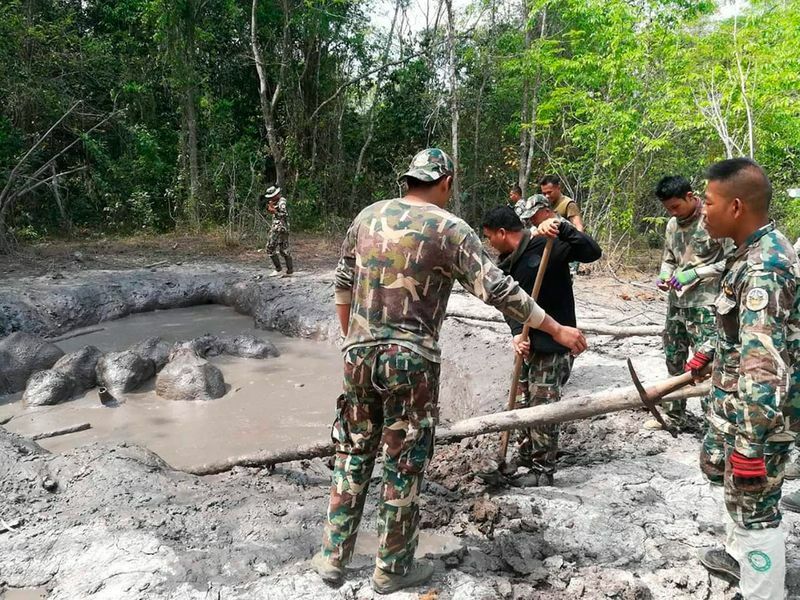 Bangkok: Rangers at a national park in northeastern Thailand have rescued six baby elephants that were trapped in a mud pit. 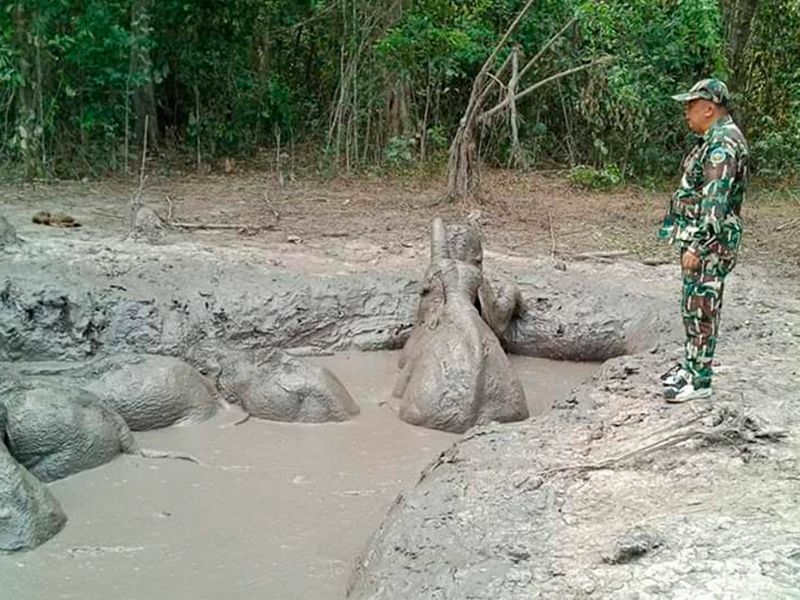 Park officials say the elephants were unable to climb up the pit's slippery banks. Rescuers took five hours on Thursday to dig a path for them to clamber out. 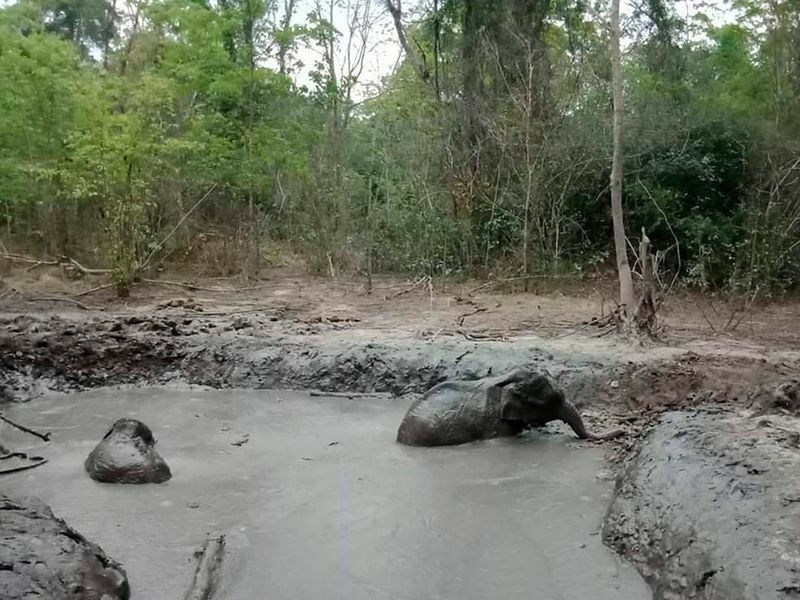 A video taken by rangers at Thap Lan National Park in Nakhon Ratchasima province shows the baby elephants climbing one by one from the muddy ditch. 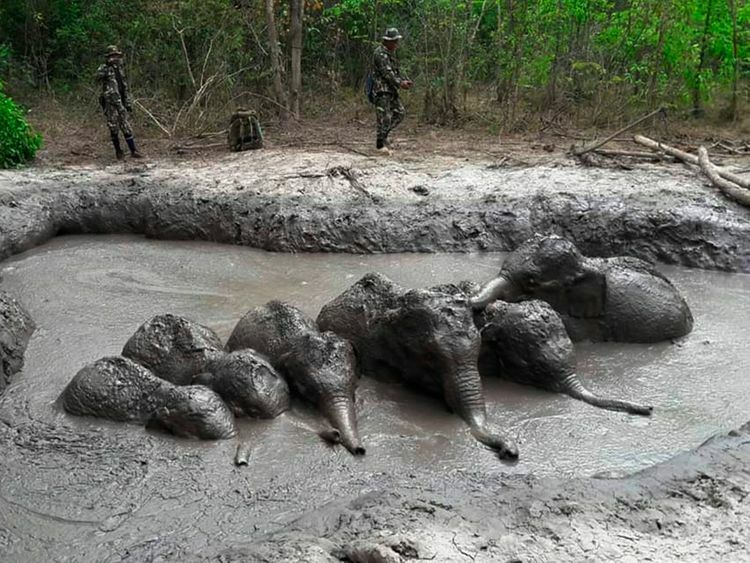 The head of the park, Prawatsart Chantep, says rangers found the animals stuck in the pit on Wednesday afternoon. He said there were signs that a herd of elephants believed to be related to the trapped infants was circling the area. It was unclear how the elephants became trapped.